First off, h/t to Another Ian who pointed me at the comment thread that has been great amusement and lead directly to this set of observations. The article at JoNovas is about electric cars and events surrounding them (i.e taxes and bans on ICE cars) in Australia. The commenters there bring up several very interesting points and details. I’ve decided to preserve a few of them here. First up is the fact that there’s a list of countries that intend to “ban” the sale of gas and Diesel powered cars. One or two of them make a kind of quasi-sense, from a non-CO2 perspective. None of them will do anything to change global CO2 production as that growth is all driven out of China and India at this point. Oddly, China is one of the countries doing the banning of sales. Want to bet it bans US, Japanese & European cars and not domestic China production? Scotland, being ahead of the curve for the UK, is going for 2032. So in 14 years. Now remember Scotland can be a bit cold. We’ll come to that down below. I guess it’s small enough that a EV can work. Just don’t try to drive to London and back… Edinburgh to London is 403 miles, so 2 charges. I could see this if there were a viable non-fossil fuel energy source in the UK, but there isn’t. On a small island you will generally have limited driving distances, and with newer more rapid charge batteries a stop for lunch after 4 hours of driving could work. Maybe. Now, just how much brand new charging capacity will be on line and ready to go by 2032? A whole slew of Virtue Signalling Wannabees list their target as 2030. So, with luck, they can demonstrate to everyone else where the problems are. Germany, India, Ireland, Israel, Netherlands. Israel I get. It’s small. Surrounded by hostiles, so not a lot of driving the region. Has nearly no domestic oil. Understands nuclear power. Lots of sunshine. It could work. The production of electricity for the Irish national grid (Eirgrid), by nuclear fission, is legally prohibited by Ireland/Éire under Electricity Regulation Act, 1999 (Section 18). As of 2014, a Generation IV nuclear station was envisaged in competition with a biomass burning facility to succeed Ireland’s single largest source of greenhouse gases, the coal burning Moneypoint power station, when it retires, c. 2025. In 2015 a National Energy Forum was founded to decide upon generation mixes to be deployed in Ireland/Éire, out to 2030. This forum has yet to be convened (Oct 2016). In 2014 Ireland presently sources about 70% of its electricity from fossil gas. The primary source (“95%”) of this gas to Ireland is via the moffat-Isle of man-Gormanstown/”Dublin” connection and to a lesser extent, the Scotland-Northern Ireland pipeline (SNIP), both of these pipes are, in of themselves, connected to the wider British pipe-network and the European continent Dutch-British network. 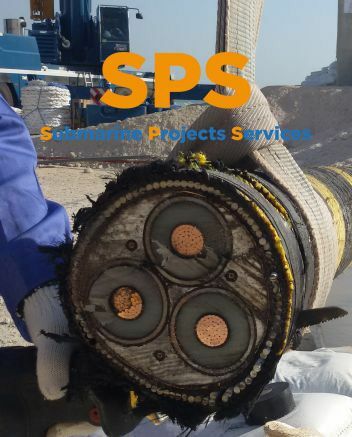 This great network of pipes is supplied with North Sea Gas and as that source is drying up, a greater dependence is expected on the frequently disrupted European gas network for which Russia being a primary provider. So lets ponder this a moment… No nukes. Foggy / cloudy a lot so solar not going to cut it. Wind insufficient and unreliable. Coal scheduled for destruction in 2025 a good 5 years before the EV Bubble starts, some ill-defined “Biomass” to replace it (denuded Canada or Main perhaps?) and a need to replace the 70% of electric generation from North Sea gas that will add a huge sucking sound to the Russian Supply. Yes, those vilified horrible Russians… So what happens in 2040 when LOTS of folks are running on Russian Gas driven EVs and Ukraine has another ‘tiff’ so the Russian pipeline gets a bomb? Hmmm? Does Ireland just go dark and stay home for a year or two while it gets fixed? Well, I guess the good news is that the generation from gas problem and the biomass problem “hit the fan” a half decade before the EV burden gets heaped on top. Then Germany. Germany? Really? Home of the performance BMW and Mercedes Limo? Some advice: Don’t buy their stocks after about 2025… Germany has banned nuclear and is presently running on coal. So we’re looking at a swap of Oil based cars to Coal based EV Charging? Makes sense from a self-reliance and reduction of foreign exchange spent on fuel point of view. Doesn’t do much for CO2 though. They are already experiencing grid instability from too much “unreliables” in the mix with neighbor countries (Poland) putting in devices to prevent the excess generation when the wind does blow from destabilizing the Polish grid. That means additional capacity won’t be wind. But even before that are the Regionals. (We’ve already mentioned California & Scotland). These remaining regionals are shown as banning “Diesel” not just “new sales”, so I presume that means the roughly 1/2 of the people living there who own a Diesel MUST buy a new car prior to these dates and all Diesel “outsiders” must stay out. For 2025: Athens, Madrid, Mexico City, Paris. All banning “Diesel” (after the EU promoted it for so long that it’s nearly 1/2 the fleet) So expect Diesel “new car sales” there to crater about 2020, if the VW fiasco has not already killed it… Also expect tourism to drop rather a lot. My spouse can’t travel by train. Not enough barf bags in the world. So we are going to be touring Europe (on that someday trip after she retires) by car. You can’t tour Europe in an EV. Diesel is far more efficient and EU prices are crazy high anyway, so I’d planned on renting a Diesel. So we’ll not be visiting those places if after that time. Oh Well, I’ll spend my Yankee Dollars elsewhere then. Also very unclear is what happens to all those folks all over the EU (free travel, remember?) who own a Diesel car and need to do business. Would I, as a company in say Madrid, keep my meetings scheduled there knowing 1/2 the staff can’t make it? Or just schedule them at another site where everyone can get there? Just sayin’… One of THE big things that makes a city a success is that it is a confluence of transportation systems. This kind of ban is banning one HUGE chunk of transportation system. Then, the brave new world first explorer going there first in a flash: Rome in 2024. Telling about 1/2 the folks of the EU to not bother driving in to Rome. Well, I’ve seen it. You are not missing much. Crowded. Noisy. Typical big city. Has some interesting old buildings. The food was OK, but prices are crazy high and you might get chicken backs when the person next to you gets a nice meaty leg (happened to me…) as luck of the draw. But they can demonstrate what happens first and folks can decide. The data and findings presented thus far have been based on average CO2 intensity numbers. We know, however, that releases of CO2 to the atmosphere from EVs are dependent on the season of the year and the time of day EV batteries are recharged. Several studies have attempted to account for these factors. EVs do not perform as efficiently in cold weather as they do in moderate temperatures. This effect is, in part, the direct impact of cold temperatures on battery performance and, in part, the need to provide heating for the vehicle occupants. In conventional automobiles, engine heat is used to warm the inside of the car. In EVs the battery must be used to produce heat, which it usually does through inefficient resistive heating. We would expect, therefore, that EVs in the northern US states would require more electricity than average to operate (though conventional automobiles also suffer efficiency losses in colder climes). As noted previously, since nearly half of all EVs today operate in the primarily moderate climate of California, the overall losses due to seasonal variations are not major. The more serious temporal issue has to do with the times of day when EV owners recharge the car’s batteries. Utilities use different sources of energy during the day and night to produce the electricity that reaches consumers, and these patterns of generation are not random. To achieve maximum carbon reductions, it is important, therefore, that EV owners charge their cars at times when low-carbon electricity sources are being used. Using average emission factors does not capture this important temporal dimension. We know, for example, that roughly 85% of all recharging takes place at home and this is usually done overnight. EV owners use as much as four times more electricity during the night than do typical Americans. Utilities tend to encourage EV owners to charge overnight since it has capital infrastructure that is not being used then. Approximately 30 US utilities now have special nighttime rates for EV owners. For example, EV owners and other customers of Georgia Power can obtain rates as low as 1.4 cents/kWh if they charge during the nighttime; they are billed 20.3 cents/kWh for charging during peak electricity periods. Consequently, it is a win-win proposition for the consumer and the utility. The consumer takes advantage of very inexpensive electricity and the utility gains revenue from otherwise downtime operations while reducing stress on the grid system during times of peak demand. Unfortunately, these patterns adversely affect emissions. A number of studies examining overnight recharging and marginal emission factors have concluded that this practice produces higher than average CO2 emissions and, when combined with colder temperatures, may make EV operation in the upper Midwest a net contributor to CO2 emissions. Even in relatively clean states, such as California, the difference in CO2 emissions from nighttime to daytime can be significant. The nighttime start-up of coal plants in response to the additional electricity load from EVs increases marginal emissions. And, of course, clean solar energy is not available at night. “Fundamental tension”? That’s one way to put it. Orthogonal and antagonistic is another. Inspired by Climate Central’s program in the US, the Research Hub will partner with weather presenters to deliver easy-to-visualise infographics and stories about climate science to television audiences. So more propaganda in my TV feed? As if ratings are not already cratering enough? Well, the good news is that I don’t watch local news anymore. (Wonder why…). I occasionally drop in on a local news broadcast from a particular spot if something extreme is happening there (like, via a Roku and NewsON app, I’m watching Hawaii local news about the volcano and lava destroying vilages); but for the bulk of my weather news I now just pull up a WeatherNation ap and get the facts I need in about 20 seconds of graphic for temp, precipitation and wind. The main takeaway I get from that link is just this: There is a pervasive and politically driven indoctrination and propaganda campaign being driven behind the scenes and masquerading as things like weather reports and news and “events” and anything else they can hide behind. This MUST be outed and it MUST be shouted down. It is NOT helpful to the society and it is a fraud. There’s a bit more, but it will come in other postings. For now, this was an interesting bit of mining from that particular post and comments. I do wish that the politicians pushing this kind of crap could see the hidden costs, the “unexpected” bad consequences coming, and maybe even do a bit of math on things like total new mW-hrs of generation needed right when they are busy destroying generation capacity. If ever there was a great “poster child” for why Central Authority fails and the distributed decision making of the market works it is this. Central Authority making crap decisions without a clue about all the subsequent crap that will come from it. Failed power grids. Lost tourism dollars. Jobs lost. Huge electricity bills driving industry to low cost States and Nations. Who will win from all this? Mostly China. For me, I’ve got a nice old 1980 Mercedes Diesel from when they could consume just about any oily fuel. It needs paint, which it will get, but only has about 170,000 miles on it. They can go for 1/2 Million easy. (Modern Mercedes do not.) So I’m going to get it painted and detailed. I’ll give it to my grandson when I can’t drive anymore. It loves kerosene, so as long as there are jet engines in the world, I can get fuel. It also can run on vegetable oil with a bit of work, so as long as corn and soybeans grow, it can get fuel. I’ve also got a nice Subaru that runs on gasoline. IF needed, I can make butanol that is a drop in replacement for gasoline (but with USA oil production at the highest ever, that is unlikely to be a problem…). Easy to repair, I’ll be keeping it as long as I can drive. Then it will go to my son. The spouse has 2 nice old Station Wagons. One will become the “spare” car ( a 1989 ) and the other needs a couple of more fixes (A/C issues) and then it becomes her primary. A V6 gas wagon from 2001. Those two will also most likely be our last cars. But authoritarian “3rd Way” Progressive Socialists just love their mandates and Central Planning. “Good luck with that”. I’ll not be participating, thanks. This entry was posted in Global Warming General, Tech Bits and tagged Australia, Electric, EV, ice. Bookmark the permalink. Don’t forget, time is money. A rapid charge battery and charging system is a must. Anyone who must stop for a 2, 4, 6 hour recharge is losing time and therefore, money. Not everyone can jump on their laptop computer and continue to work. The plumber on vacation earned those vacation days as they are calculated as part of his compensation. I’m not seeing a lot of wage earners wanting to spend 1/5th of their vacation playing games on their smartphone while waiting for the battery to charge. As you mentioned, E.M., it’s going to affect tourism related travel. Its not just the cost of electricity. Recharging costs valuable time if not done internal to some non-driving cycle such as overnight at home or in the parking lot while at work. Sources of electrical power last year in the USA were natural gas, 50%, coal, 23%, nuclear,15%, and everything else, 12%. Assuming the power for your Tesla S comes from a typical natural gas fired power plant and you live nearby so transmission losses can be ignored, then, according to eia.com, 10,382 BTUs are required to generate one Kwh of electrical power and doing so will generate 53.07 kg of carbon dioxide per million BTUs resulting in 0.55 kg of CO2 per kwh of electrical power. Converting that power from high voltage AC to car battery DC is at best 80% efficient, according to various on line forums, so 0.69 kg of CO2 will be produced for each kwh in the battery. Forums also report typical driving efficiency of about 3 miles per KWH, so each mile driven will have required the emission of 0.23 kg of CO2 per mile. Contrast that to a Fusion hybrid, a car of similar size and configuration. Assuming you fill the tank not far from a refinery so transportation costs can be ignored, eia.com reports that 19.6 lb of CO2 are generated per gallon of gasoline burned or, converting to kilograms, 9.0 kg of CO2 per gallon. At the rated EPA mileage of 42 miles per gallon, the Fusion emits 0.21 kg of CO2 per mile driven. The did do the math, but it was new math. It gave the exactly the answer they wanted. Case closed. Recharging could work, time-wise at least, if there were a store of charged batteries available. But that would increase the number of batteries by 2 or 3 fold, off the cuff. I don’t have any references available via mobile for the grid item, but do recall reading several at JoNova…. @jim2 re battery exchange. I was going to “go there” but left it off that first post. For battery exchange stations to work, car makers would have to standardize on just a few different different battery packages and standard connections. Otherwise the exchange stations would have to have quite the inventory of 4 or 5 each of 50 different battery packages. I don’t see that as too big of a problem. Car makers would also have to design in a quick change mechanism that won’t send the battery flying loose in a wreck or even a hard corner. That’s probably not to difficult. What I don’t know is how much volume a switch-out station would see in a day. What; 5, 20, 200 batteries exchanged in a day? What would you have to charge per exchange if only a dozen cars come through; $20, $50, $80? The storage, handling, and charging costs of batteries should be a lot more than a tanker showing up, one driver dumping a thousand gallons of fuel in 20 minutes, and people pulling to any old open pump at any odd angle and pumping the fuel themselves. What about wait queues? If the exchange is only 8 minutes, but there are 4 or 5 cars ahead, are people willing to give up 1/2 their lunch hour? Can you just go across the street to another exchange station or will there be 1/4, 1/10, or 1/50 as many exchange stations as there are Stop-N-Robs? How far will it be to the next exchange station when you start looking for an exchange station? So I’ve taken the scenic route back to my original comment that a rapid charge battery system is a must. I think people would grumble but accept a 15-20 minute recharge. I see the cost of a nationwide battery exchange network with far fewer locations as being a very expensive add-on to the necessary and expensive grid upgrades. On the bright side, no logistics problem is insurmountable, given enough money to solve it. I was going to mention the problem of grid capacity, but ossqss got there first. It’s a pretty major problem, considering all the wires and transformers that will need upgrading. The work probably needs to start now if it’s not already too late to start. Germany isn’t simply still burning coal to keep their grid working, it’s burning more lignite than it did before the energiewende. The UK and Ireland can if they want get a lot of wind power from the seas off the coast. Trouble is, it doesn’t blow all the time and there’s currently no way to store it, even inefficiently. Looks like fracking is in the future of the UK, once they realise that the alternative is to get shafted by Russia or to go dark. France is reducing the number of nuclear power stations, since they aren’t green enough. Electricity is getting more expensive here…. Meantime, that old Diesel car should run on straight vegetable oil provided it’s warmed first so it flows better. Converting to biodiesel makes it thinner, but that’s only really needed to start the engine. I still have my 30-year-old Diesel. I’ll drive it as long as it lasts and I can get or make the necessary new parts. I’d expect a special meter to be mandated for EV charging, where the actual switch-on time is controlled by the utility. Could of course mean that you’ve left it plugged in all night and only received a partial charge because there’s too much demand. That coould cause some interesting problems in getting to work. Still, remember Agenda 21. There will only be 500M people, and they’ll all live in cities on train lines, so they won’t need private cars anyway.
. . . turn on the AC to cool the house down . . .
Algeria is the new Texas. All the sunshine & what. The alternative energy solution might make sense by 2080-2100. It took us more than a century to build up the fossil-fuel based energy grid, and it’ll likely take that long to switch to a renewable energy grid with batteries that can efficiently store enough energy to balance out the unpredictable renewable supply. Not to mention, weeding out the technologies (rapidly spinning, high-maintenance, short-lived wind turbines) that aren’t worth using. However, trying to force this to happen by 2040 will be catastrophic. This will fulfil the policy objectives of environmental militants and dictators of developing countries that want to overtake industrialized countries. Not to mention the giant oil producers (Russia & Saudi Arabia) that want to be the last and only call for hydrocarbon energy. But the average Joe will be impoverished. The world may start to resemble the Hunger Games (or is that the Hangry Games)? You just need to power your car with one of these. Too bad no one knows exactly how it was made. Why is not every square inch of an EV car not covered with PV cells? Just sayin, why? It is an electric car afterall, and all the free energy charging should be a welcome part of the equation…..
Heck, I would have fold out pivot panels like on equipment in space if I had one. Just sayin…..
Hi EM: There are always winners from every crisis. Right now you can lease a Turkish “power ship” it can be in your harbour in a few weeks. Multiple large diesel gensets. In a few years you can get a Russian floating nuclear plant. Bet on CO2 and nuclear worries to fade out when people a shivering in the dark. Has anyone perused this site at any depth. You should. It is deep, very deep. Another effect of reliance on batteries which (IMHO) doesn’t get enough attention is the danger of the high chemical reactivity of lithium. We’ve all seen the occasional news picture of a Tesla engulfed in flames, the UK press recently found a number of kiddies’ electric skateboards and similar which had caused considerable fire damage to the kitchens they’d been left in for charging overnight, and so on. Shock news: Lithium burns! I’ve seen speculations on battery tech sites that the lithium in a lithium battery migrates around the interior of the cell on charging, and that this can result in, effectively, chunks of more-than-usually purified lithium forming (by electrolytic deposition) after many charges. (Around one of the electrodes (-ve? ), IIRC.) I haven’t gone that deeply into lithium battery tech myself, but seeing Li battery pros having conversations like that, years after the things have gone into wide circulation, is a bit worrying. For domestic tat like cameras, mobile phones and the like, I have idly pondered lately making up a set of steel shelves somewhere fireproof, where all of it could live while not in use / charging. If any of it wants to blow up or catch fire overnight, at least something like that would limit the damage to the non-lithium world. You’d end up with a sort of steel version (ideally double-walled) of postal pigeonholes. I’m getting less impressed with lithium batteries as time goes on. Yes, great for light weight and surprising quantities of energy, but not necessarily so good at keeping all that energy safely inside it waiting to be used. As for sitting on a big one driving it down the road, or (shudder) living next door to an EV battery swap station, no thanks! PS: What’s this “This site uses Akismet to reduce spam.” notice that has appeared under the comment box? I’m guessing that it’s a change in WP, maybe to work round that stupid new EU BS, rather than a personally-chosen option? And, from No Tricks Zone today … “Sixt Car Rental CEO Sees No Future For Electric Cars”. I’m not arguing with him! As a future EV owner how would feel about taking your nice shiny New car with a nice shiny new but depleted battery to this battery exchange centre and having rteplaced with a worn out but fully charged 10 year battery? Would the “exchange centre” guarantee the mileage and reliability of the battery it has put in your car? Would your insurance company honour your insurance if this “old ” battery burst in to flames and burnt out your car? It is an absolute minefield of an idea. Interesting thing, to me, is that “progressives” so love to claim history is on their side; yet they so dearly want us to forget history. Why did EVs fail in the market roughly *100* years ago? For the same reason they fail now. The economics don’t work. Maybe some day, but not today and not tomorrow, either. Why? Chemistry! @cd: My grandparents were born in the 1880’s. Their first car was a (1910?) Baker Electric. My grandmother drove that around town (Marietta, OH.) where there were brick streets. My grandfather then bought a Model T and she found that to be too difficult to start and drive, so she never drove again. The point being that the old electrics, which got about 100 miles per charge, were, and still are a practical town car. Once the fledgling state road systems started being built between towns and cities, the electric car fell by the wayside. Good roads made it practical to travel distances, directly point-to-point, and the automobile hit the wall you mentioned, chemistry. I thought about liability at charging stations. Either you would need attendants to do the swap, or more likely, the exchanges would have to have an expensive, automated system to avoid labor costs. I assumed the exchange stations would work out their injury and equipment/car damage liabilities before building the first exchange. I didn’t even think about the liability issues you raised with battery exchanges. Good points. I wonder what other liability issues are lurking out there that no one has considered? What will be Russia’s attitude to the West and supplying gas to them in 2040? By 2040 Putin should be gone (he’d be 88 years old), unless he holds on and like in the Andropov/Chernenko era, the mode of rule is with many other shadowy figures actually controlling policy. The “feature” for Tesla was leveraging off of the massive production / supply of “laptop batteries”. That’s also his problem. That chemistry is particularly flammable (organic electrolyte / solvent) and growth of dendrites of metal can cause an internal short leading to the thermal runaway thing. Yeah, it’s only one a million… but when you sell 10 Million of something… Flaming Laptops! Batman! I NEVER leave any lithium device plugged in and charging when I’m away from home. I unplug the laptop when going to bed (and turn it battery side up, preferably on a less or non flammable surface) while the cell phone I’ll just turn battery up (very old LG with the battery on the back and not a very big one at that). It’s a minor thing but IF the battery ever did flame up, it would tend to be insulated from the surface by the guts of the device. Andrea Rossi is still talking up his LENR eCat with even greater enthusiasm. Here Bear Grills starts a fire with a small cell phone battery. A room full of them would make a spectacular fire, maybe even a nice explosion. I note in passing that claim that charging regular LCO batteries when cold causes them to do the internal short / sparky car thing…. I wonder what will happen with Tesla’s on the charger in an unheated garage in North Dakota? And what about charging at a lunch stop in Idaho in winter? Hummm, compact EV? What does that really mean in context? A seat on a battery with a motor and 2 wheels? 6 min charge with what, foot thick cables? My BS detector is flickering since 2008 was 10 years ago, and they would be in mass production by now if viable. Just my take….. Typical battery packs are over 100 VDC. So figure 300 kW = 100 V x 3000 amps. A bit big. About like 30 “jumper cables” in parallel. So going to need more volts. Run the charging voltage up to 480 V that’s commercially common, and you are down in the 625 Amp range. Call it 6 jumper cables in parallel. Possible, but still clumsy. All this stupidity initiated by governments around the world is intended to “Mitigate CO2”. I’m trying this on warmists. It assumes their theory of back radiation is correct. The Water Vapor bands are saturated – i.e. adding more absorbers in that band does not increase the energy captured (significantly). Ask them what the Free Path Length of an IR Photon is. ie how far it travels before hitting “something” in the Atmosphere. It is approximately 25 Metres. So how can a Stratospheric Photon get back to the Surface through 8-10Km of ever denser atmosphere. Or just ask: WHY is there a troposphere? What happens at the tropopause? IMHO, that pretty much is the whole ball game in one spot. It is caused by that mean free path length of an IR Photon which is caused by that water vapor and other stuff density, but is the final manifestation of the chain. Because there is no way to radiatively cool the troposphere given that free path length, and with all that loverly water vapor, you get convection instead. At the top of the convective column, you get cloud formation and heat dumping (latent heat of vaporization liberated) into that Hurricane Cat 2 poleward air flow at the stratosphere interface. The simple existence of the troposhpere says there can not be IR heating from above. At most, you will get more active convection.